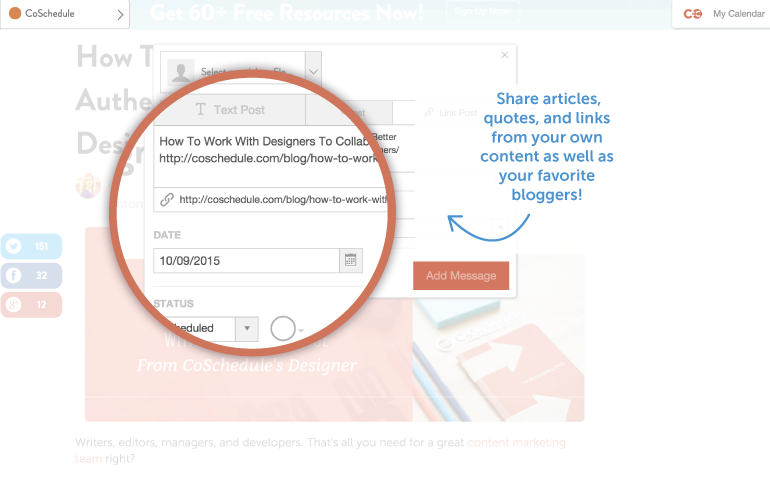 Social sharing just got easier with a brand new social curation tool in CoSchedule! With the CoSchedule Chrome extension, you can quickly curate, create, and share content with followers without ever leaving your browser. No more copy/paste commands or switching from one tab to the next! 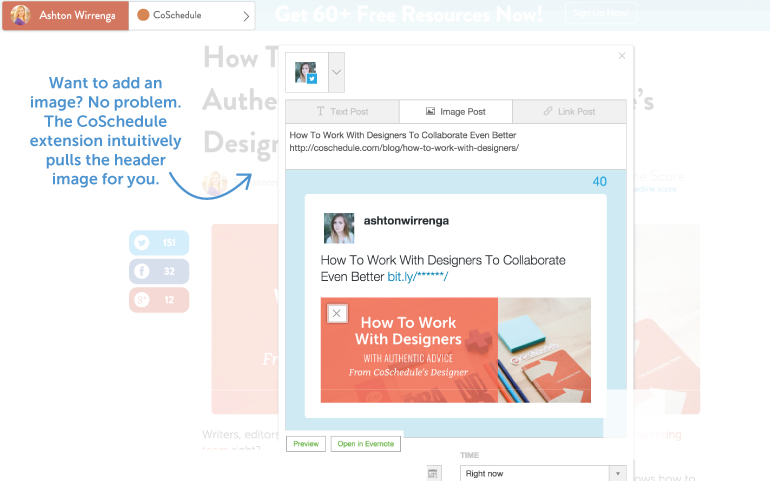 Share articles, quotes, and links from your own content as well as your favorite bloggers! Simply click on the CoSchedule extension and quickly schedule a share right onto your CoSchedule calendar. Instantly pull in blog post headlines to quickly create shareable content. Or customize your copy by highlighting the text, opening the extension, and pulling any line of text into your social share. Want to add an image? No problem. The CoSchedule extension intuitively pulls the header image for you. That saves you valuable time—no more downloading, saving to your hard drive, then uploading an image to your share! 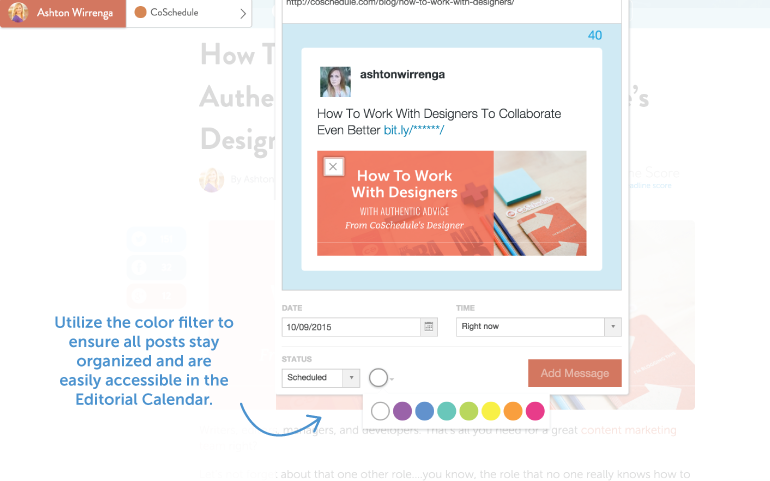 Use the color filter to keep your posts organized and easily accessible on your editorial calendar. Not ready to post immediately or need approval? No worries! Use the status dropdown and push your posts to the correct bin: draft, scheduled, or pending approval. Scheduling social shares is easier than ever, too! 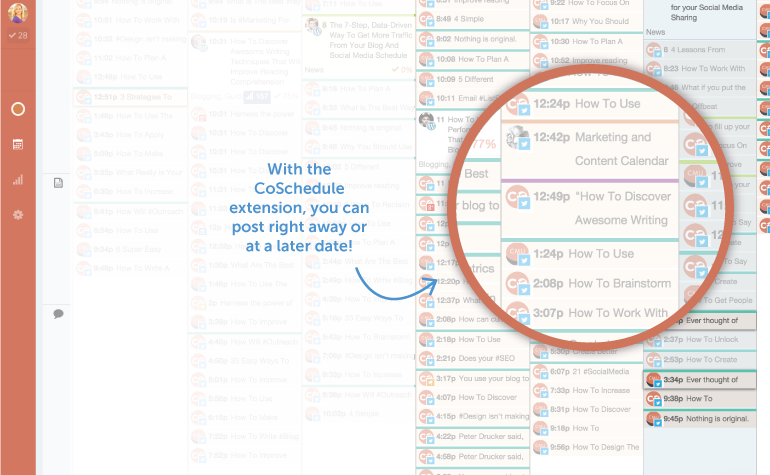 With the CoSchedule extension, you can post right away or at a later date. Auto-sync capabilities allow the extension to sync with your CoSchedule calendar, too, which helps you know exactly what you’ve scheduled and when it’ll go out on social media. Why waste time playing the copy/paste game? Switching from one tab to the next? Streamline your social sharing with the CoSchedule extension social curation tool and eliminate unnecessary steps to sharing content with your followers. I’m SO excited to see CoSchedule launch a social curation Chrome extension. Check it out!